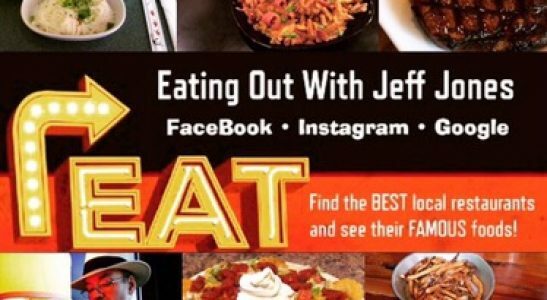 My blog “Eating out with Jeff Jones” didn’t just happen overnight. After participating in many nationaly known review sites and a few local ones, I felt that something was missing from my experience. Once I realized what I wanted, I began my journey as a food blogger. ​ ​I’ve been having a blast visiting all our great local eateries and sharing with y’all through thorough photos, videos and more. Whatever it takes to convey that perfect meal and moment in time. I have actually been criticized by some for not being critical enough, and that’s ok. Folks, my goal is to provide detailed descriptions of our local restaurants and their famous foods. Then, you can decide if it meets your vision of a “happy plate” or not. And although my blog is about eating out, it not just about the food. It’s also about the people you meet and places you see along the way. So y’all follow me, and we will take this journey together! If you have a favorite for me to check out or own a restaurant and would like to show off your famous foods, message me. There is always room in my blog for more local restaurants and their famous foods!